Spring is finally here so this is the perfect time time to switch up your beauty routine, change your wardrobe and move away from winter, which let’s admit, outstayed its welcome this year. The extreme temperatures and lack of sunlight, not only affect your skin, they can make your hair look dull and lifeless too. As you introduce new colours into your wardrobe and makeup routine, changing your hair colour will instantly update your look and add a spring into your spring look. 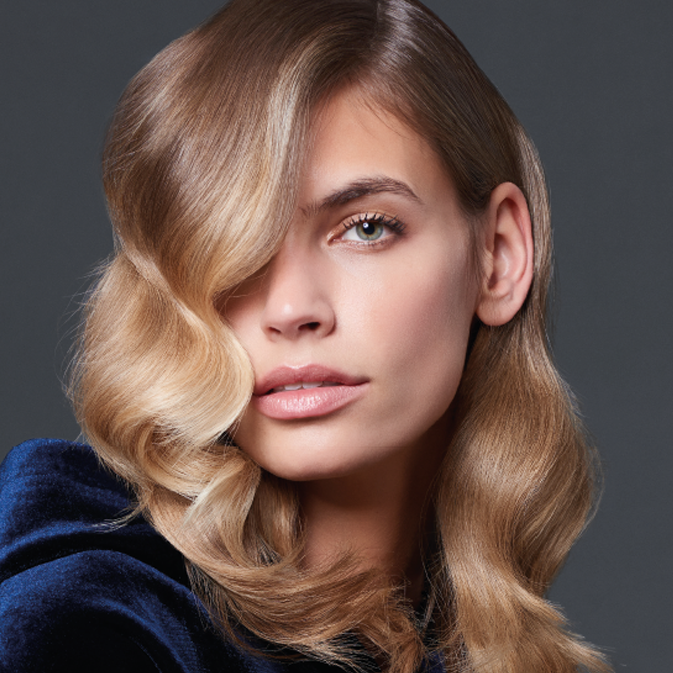 According to Siobhan Jones, Head of Colour at Headmasters winter hair trends tend to steer towards rich, luxurious and deep colours, whereas spring and summer hair is often brighter, with gold and sunkissed looks and tones. This season, the Rose Brown look is everywhere. To achieve this look, you don’t need to go through an aggressive process of bleaching your hair like the old days. Balayage, the french freehand hair painting technique that has become increasingly popular over the last couple of years is the way forward. Offering a natural, sunkissed look with no regrowth lines, this bespoke technique of painting strands under the parting means that multiple dimensions can be created when your hair catches the light. It’s sort of like reverse highlights – you know those stripes we all used to get back in the day. These are subtle, blendable strands that don’t look streaky, at all! I have been colouring my hair for years now and over the last 6 years, it has progressively gone blonder and blonder. I have medium dark skin, so achieving the right blonde is tricky. Indian hair which is dark brown is composed of red tones, so, when lightened, it often goes orange. I have had some ginger disasters in my time, believe me! So I don’t ever let a hair colourist touch my hair, therefore, I have been going to the same hairdresser for 7 years now and she has done an amazing job. I used to get the dip dye from the famous Dalston salon in London who back combed my hair and then painted on bleach. It moved onto Balayage, but again with a strong bleach and dark roots – the surf girl/East London vibe which I had for years. When my hairdresser left the salon, I was lost. My usual one inch roots were down to chin and I had nowhere to turn. In a way, I was a year older and started to like my natural dark brown hair. I started questioning my hair identity and decided that an indian girl with bleach blonde hair is not a sustainable look to continue for say, the next 10 years. What was I going to do? Keep this hair up forever? Most of my friends only know me with blonde hair, it’s my thing. I didn’t know what to do and I was depressed. A couple of weeks ago, I saw an image from the Headmaster campaign (above) and fell in love. This is the balayage I wanted. The blonde focusing towards the front of the face, starting from the root and blended, as opposed to a block colour and constant root regrowth I always had. I’m calling it Grown up Balayage. It’s cool and edgy, but also soft and feminine and works for all hair colours. There’s also less bleach so its better for the condition of the hair and it looks more natural. All of the celebrities are going for this look so it’s also an updated version of the bleached out dip dye. I went to meet Siobhan Jones with my hair dilemma and she knew exactly what to do. She asked very few questions, just let me talk about what I wanted and made me feel comfortable. Of course I was SO terrified of letting anyone touch my hair after so long, but I didn’t tell her. Only because I am very particular and didn’t want her to hate me straight away. Below is an image of my hair when I came in. Long, limp, lifeless and over bleached with a huge regrowth. I was sad and felt uncomfortable and was not happy. She first of all cut my hair – 2 inches off and sorted out my fringe. I went into great detail about how I wanted my fringe, I like it flowy and framing my face. She cut it off and started with the colour. First of all, she tinted my roots. Asked no questions about what I normally do, just did it. After about 35 minutes, she washed it. At this point, backseat driver, me, asked why that was so fast. I usually sit on the chair for hours for a root tint and I know that 90% of the time, the colour is always too light for my skin tone. She told me all tints take that long so I let her carry on. The colour was PERFECT! I felt so relieved and so happy it worked first time round and it contained no ammonia so my hair will be less damaged. The reason why she did my roots was because I normally go 2 shades lighter on my roots which blend into the blonde. The colour she used was to soften the dramatic line I already had from my regrowth, so in future it won’t look as harsh. Next was the Balayage. It was a refresh, so I only focused on the front section of the hair. She used a pre lightener mixed with a L’Oreal Smart bond which helps reduce breakage and helps with the condition. The colour which was the blonde was placed towards the front of my face, under my parting so it will lighten and not look stripy. It’s like highlighting but placed diagonally and uses foils, which on this occasion were used to activate the colour. Half way through the balayage, I started to get nervous. What if I hate it? I loved Siobhan (above) so much, I couldn’t face being disappointed. My outlook was very bleak. She kind of knew, but I know she wanted to surprise me and too be honest, we were quite busy chatting. When I did get round to asking how she knows which colours to use, she told me, that at Headmasters, they learn the freehand Balayage technique, however all stylists have their own style so the service is bespoke and they focus more on which colours suit which skin tone. I completely agree. The wrong hair colour can make people look washed out or ashy. After a couple of hours, my hair was treated with more L’Oreal Smart Bond, toned to a golden colour and then left for a few minutes with another treatment. It was roughly dried and this is the result. Headmasters and Siobhan have done the most amazing job on my hair ever. My style has been updated, the colour is bright, I feel more natural and the colour is perfect for my skin tone – I am so happy. The condition is so incredible. My hair moves in the wind. It has not moved in the last 5 years and it shines so much – I don’t recognise myself. The golden tones around my face match perfectly to my skin and all of my friends and family have complimented me. Everyone as told me I look so much better than before. I would highly recommend changing your style once in a while. If you have never dyed your hair, perhaps try it with a no ammonia colour, or update your look with a fresh haircut. Its so transformative and can do wonders for your confidence. I feel like my old self again, but better.